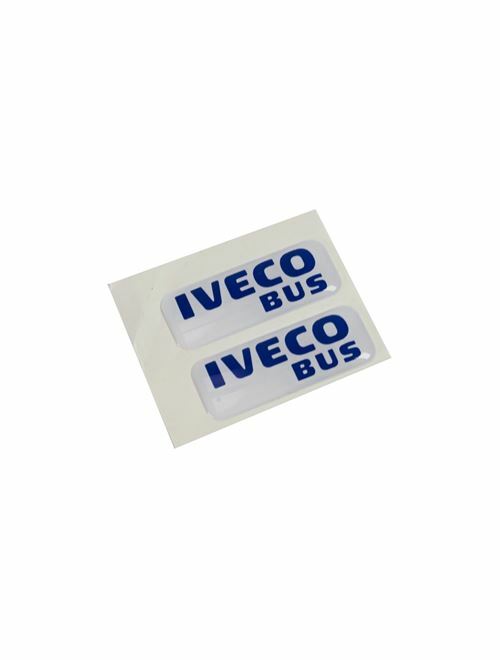 Sticker with white background and centered Iveco Bus blue logo. Height: 43 mm. Length: 17 mm. 3D stickers are not only aesthetically pleasing, they are also unbeatable technically, as they are UV-resistant, weatherproof and protected against the fading of graphics (from -70 up to 170 °C). They also do not react to most solvents and detergents.